Very proud of my RYA Comp Crew Certificate achieved with Aistrac over the Christmas period. 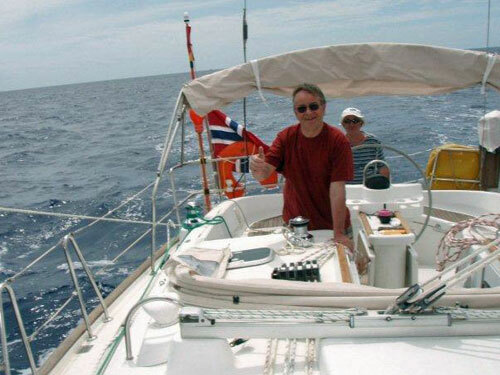 Keith's laid back approach combined with his many years of sailing experience all round the world on a boat built by himself was the perfect combination for me, not forgetting the beautiful weather and setting of Puerto de Mogan. I hope to progress further when the opportunity arises.